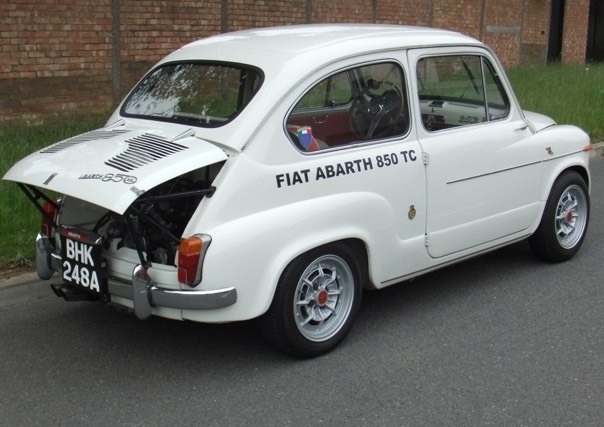 Fiat Abarth 850 TC Nurburgring Specification 1963. 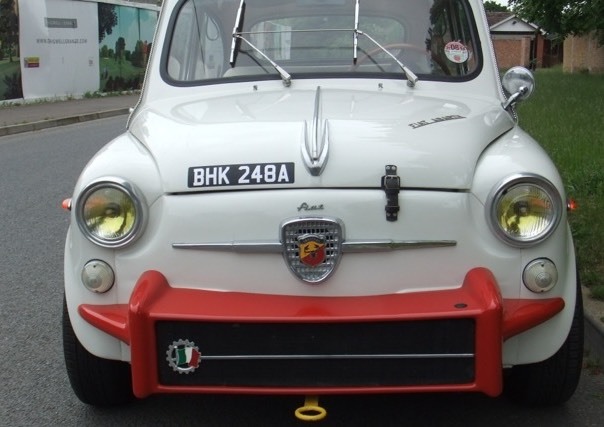 This stunning little car started life as a 600d with the obligatory suicide doors and later in its life being in incredible corrosion free condition was professionally rebuilt to replicate an Abarth 850 TC using many correct and difficult to find original Abarth parts including cylinder block, exhaust, large split sump, twin choke carburettor and large dynamo pulley. 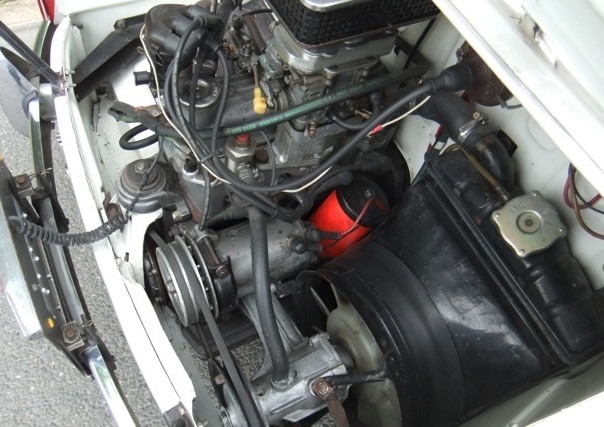 The engine was rebuilt to 850 TC Nurburgring Specification by marque specialists Carallo in Turin. 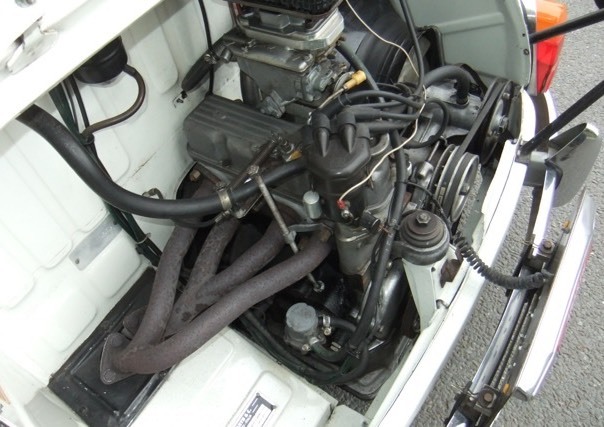 The watercooled engine is cooled by a radiator to the front. 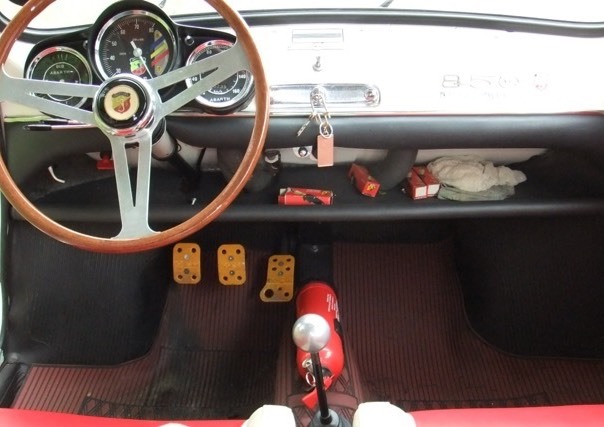 The braking system has front disc brakes and the suspension has Abarth specification springs and dampers, Campagnolo 5 1/2 inch magnesium wheels are fitted. 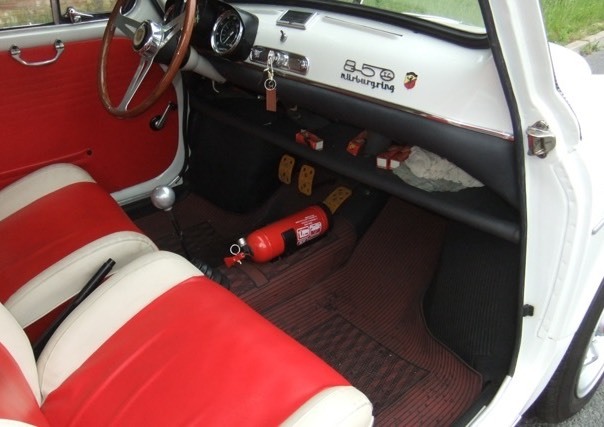 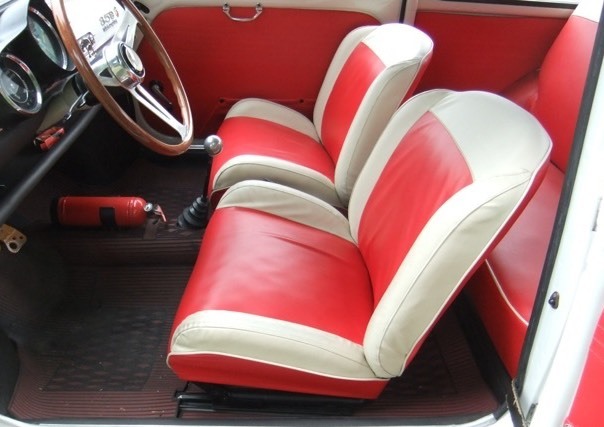 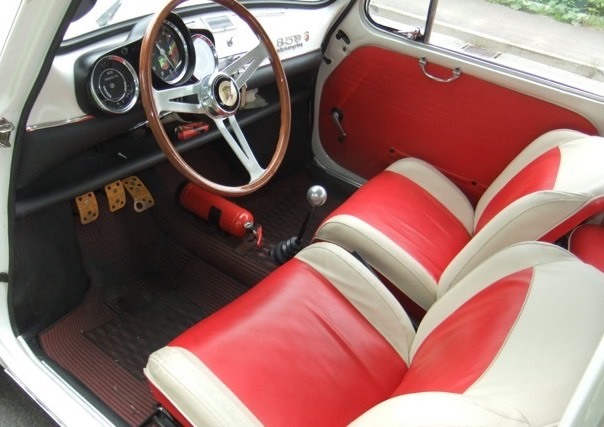 The interior is beautifully finished in red and white leather, with Abarth instruments and Nardi steering wheel with Abarth horn push. 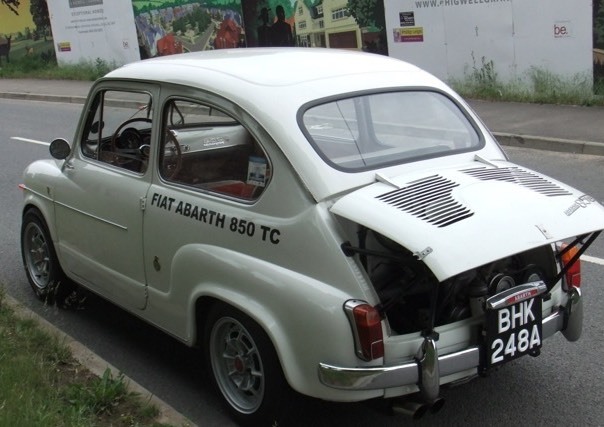 The car has all the correct Abarth badging and the iconic propped open engine lid. 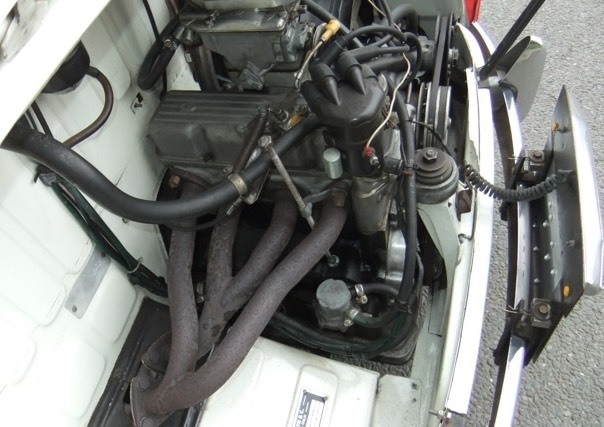 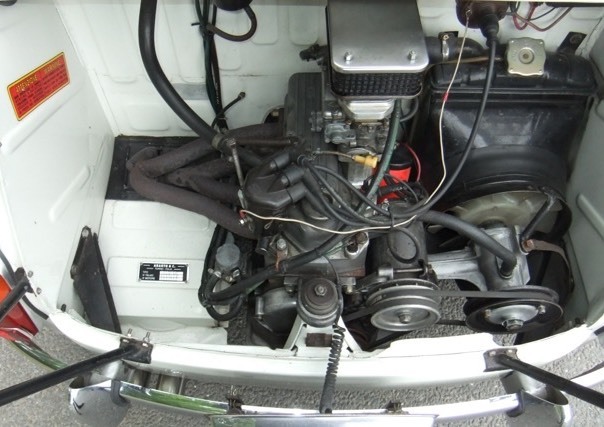 It would be very difficult to find a 1963 Fiat in this condition and hugely expensive to build to this specification. 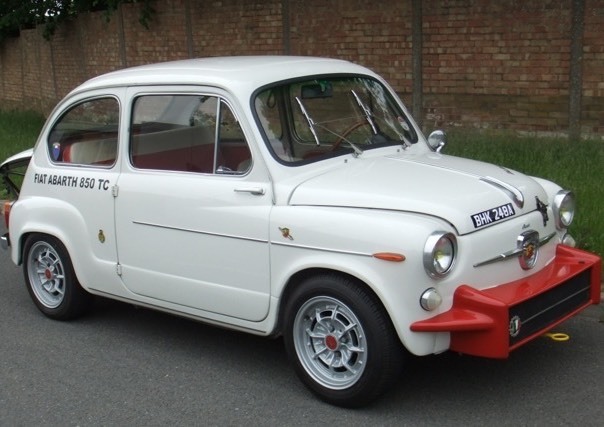 Great fun to drive Incredible Condition.